Whoa! Another Christmas survived. Gosh that sounds like I had a miserable time but I didn’t. On the contrary, it was wonderful but it was hectic and there are some things I would do differently. But the one thing I did right was keep my emotions in check by expressing my continuous thanks to God for each good moment. For those that weren’t so good, I prayed that God would help me quickly turn those thoughts around and help me get back on track. Depression did not grip me even once. But I had decided it wouldn’t. I had determined early on this Christmas season that I would keep my emotions on an even-keel. That, like Mary, I would “ponder”, but not worry or become anxious. So far I’m batting around ninety percent. That’s good for me. Today and tonight was my personal “Waterloo”. It was our big family celebration. I wanted to have warm thoughts about everyone.That wasn’t the least bit realistic. So then I thought maybe just not “judging” anyone’s behavior might be enough.But I finally decided on trying to just be “neutral” about things that were not ideal. I pretty much accomplished that. 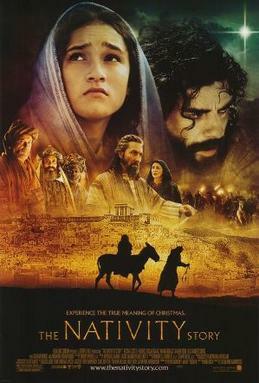 Now I’m watching “The Nativity Story”, a movie made a few years back that I find refreshingly honest if not always correct. One scene depicts a conversation between Mary and Joseph on their way to Bethlehem. They are asking one another when will they know that Jesus has stepped into his role as Savior of the world. Joseph questions whether he will be able to teach Jesus anything or if we will already know everything. Certainly there’s nothing in Scripture to support this conversation but there’s nothing that doesn’t either. Actually, there is nothing recorded about their journey. Personally, I believe that conversation was very likely because Mary and Joseph were human beings and like all human beings felt the same things we do. It’s a conversation, probably among many, that focused on their unexpected roles as parents of God’s son. I’m sharing my day with you because I want you be encouraged that a day is just a twenty-four hour period whether it’s Christmas, Thanksgiving, or Easter. No matter what day it is, each day has its ups and downs. Any day can be a celebration or a “downer”. Any day can draw us closer to God or cause us to move away. One the ways I have learned to manage my depression is to remember that a day is just that, one twenty-four hour period. And there are many more. And each one of them presents opportunities for change. That’s why the Scripture says that each day has trouble of its own, meaning don’t borrow trouble from tomorrow. Because tomorrow is Christmas, my thoughts will focus even more on what the day means. It will also prompt me to remember why Christ was born-so that I could enjoy the fullness of life. Because when I do, I let God know how grateful I am for His visit to earth in human form. I feel for those of you whose holiday season is falling so short of what you wanted and hoped for. I’ve been there myself many times. I feel especially bad for those of you for whom depression has raised its ugly head. My heart goes out to you. Christmas is such a hard time when you’re battling for your emotional and mental health. I hope that the rest of this season brings you some bright spots. But if it doesn’t, please know that given enough time and effort, depression can be alleviated. That’s my gift to all of you-the assurance that you can get better. Don’t give up. January is a good time to develop a game plan. I have lots of good information on this blog. I hope you will spend some time and check out the archives.